Consisting of thirteen states and three federal territories and totalling almost 330 square kilometres of land, the country of Malaysia originates from the Malay Kingdoms and today has one of the most multi-culturally diverse regions in the world. Chosen from the hereditary rulers of the nine Malay states every five years, the head of state is the King, an elected monarch which the head of government is the Prime Minister. The country has built its economy today off of the exportation of natural resources including palm oil, tin, rubber and petroleum oil as well as having a substantial amount of its money coming in from tourism, telecommunications and automobile manufacturing. In 2008 the very earliest evidence of human habitation in Malaysia was discovered, several stone hand-axes which have been dated at over 1.83 million years old. The oldest human remains in the region are in the Niah Caves – a human skull dating back 40,000 years. However, the oldest anatomically modern and fully complete human skeletons, Perak Man and Perak Woman, were discovered in Lenggong and date back 11,000 and 8,000 years respectively. The first inhabitants of the Malay Peninsula were most likely the Negritos, a tribe of hunter-gatherers. A composite group from another part of South East Asia, the Senoi, another tribe of hunter-gatherers, are known to have migrated into the region around 4000 BC and likely merged with the already existing Negrito population, bringing their language and technology with them. By about 1000 BC, the Proto-Malays, a seafaring tribe from Mainland Asia, most likely China, also settled into the region. Around 300 BC they were forced further inland by the Deutero-Malays whom were the first group in the entire peninsula to use metal tools and more advanced farming techniques. It’s also believed that a race of Indian decent settled in the region around 300 BC as well and around 100 BC trade relations with China and India opened up. Starting from the 2nd Century onwards, the Malay kingdoms numbering over thirty began to appear mainly around the Eastern side of the Malay Peninsula; the earliest of these kingdoms is known as Langkasuka and was based on the northern Malay Peninsula in Kedah. Becoming the dominant race on the peninsula, Malays were strongly influenced by Indian culture in the region and this was further strengthened by South Indian culture being spread around South East Asia by the Pallava Dynasty in the 4th Century onwards. During these times the Malay people adopted the Indian Hinduism belief system as well as the Chinese Buddhism. Furthermore, from the 4th Century onwards the Sanskrit writing system was used. Up until the 6th Century, Cambodia had ruled the northern reaches of Malaysia and it is believed that in the 8th Century the Khmer Prince of the region, Raja Ganji Sarjuna, founded the kingdom of Ganga Negara, known as modern-day Beruas, Perak). From the 7th Century onwards a large portion of the Malay Peninsula came under Buddhist rule through the Srivijaya Empire, a trading-strong empire based in modern-day Palembang. From this point on the Maharajas, High Kings of the Srivijaya Empire, ruled the country and became the main power in the region while still retaining friendly relations with the Chola Empire in South India. However, in the 11th Century the Chola Empire attacked Ganga Negara and later on that century the Chola Empire succeeded in taking over Kedah, pushing the Srivijaya Empire back a little. From the 12th Century onwards the Srivijaya Empire declined in power through the combination of efforts by the Chola Empire and the Khmer & Siamese Kingdoms. Several wars with the Javanese and various Indian states drove the Srivijaya Empire to request assistance from China and after further undermining by the spread of Islam throughout the Peninsula, in which converted states broke away from the Empire’s control, the Srivijaya Empire dissolved. By the 13th Century the Siamese Kingdoms based in Sukhothai had taken most of the country over and through the spread of Islam via Arabian and Indian traders, Buddhism and Hinduism declined dramatically. As the 14th Century rolled around, the Hindu Java-based Majapahit Empire possessed the region. Considered the first independent state in the region, the Kingdom of Malacca was founded in 1402 by a Srivijiaya prince of Temasek (modern-day Singapore) named Parameswara, a supposed descendant of Alexander the Great, and rapidly became one of the most successful ports in the region. It was shortly after this founding and success that Parameswara was brought to China by Admiral Zheng He, where he was identified as the legitimate ruler of Malacca by the Ming Emperor and promised him protection from the threat of Siamese attack. It’s believed that Parameswara took the name Iskandar Shah, a combination of his ancestor’s name (Alexander) and the Persian title Shah (meaning King), when he married a Princess of Pasai. In 1414 the son of Iskandar Shah approached the Chinese Empire to announce that his father had passed away. The Ming Emperor recognized him as the legitimate heir to the thrown and was given the name Raja (King) Sri Rama Vikrama, Raja of Parameswara of Temasek and Malacca. During the rest of the 15th Century, the Kingdom rapidly developed into a dominant Islamic state and rising to power it assumed the prior place of Srivijaya. By the end of the 15th Century, Islam had become accepted as the state religion. Furthermore, by the 16th Century, Islam had converted almost the entirety of the Malaccan Sultanate, the Sultanate of Demak in Java and other parts of the Malay Archipelago and Sumatra, becoming the dominant religion in the region and leaving Bali as the singular Hindu nation in the region. However, despite the speedy rise, Malacca too fell quickly, lasting a little more than a century. However through its efforts, the arts, fashion, literature, dance and music in the region became a standard for all ethnic Malays, as well as the developed language, Malay, being declared the official language of all Malaysian states. Whilst looking for a new maritime route to replace the one closed between Asia and Europe by the Ottoman Empire, Afonso de Albuquerque led an expedition into the region and upon seeing Malacca they seized it to use it as a base for activity. The sons of the Sultan at the time fled to the southern and northern tips of the peninsula, founding the states of the Sultanate of Johor and the Perak Sultanate respectively, the latter growing wealthy through the export of Tin while the former grew its forces large enough to rival the Portuguese invaders. Due to the Portuguese influence in the region, the population was aggressively converted to Catholicism. Meanwhile the Spaniards had taken the city of Manilla in the nearby Phillipines and forces the Sultan of Brunei’s forces out of the area. Despite the Sultanate of Johor’s attempts to take back Malacca, they were unsuccessful and the Portuguese retaliated ferociously with their raids reaching as far as Johor Lama, capital of the Sultanate of Johor, in 1587. In 1607 the most powerful and wealthy state in the Malay region, the Sultanate of Aceh, began to take conquest over the region, taking over other states such as Perak. However, the ruler, Iskandar Muda, underestimates the forces in Malacca and after attacking the city with a full-force fleet, 19,000 of his troops and all of his ships were wiped out by a combination of Portuguese and Johor forces. However, after regrouping his forces, Aceh conquered Kedah and Iskandar Muda was succeeded by his son Iskandar Thani, the former prince of Pahang. However, fighting for control of the region surrounding Malacca didn’t cease just yet. Due to the Iberian Union the Spanish obtained the Portuguese Empire during their war with the Dutch. After forming an alliance with Johor, the Dutch East India Company was established and pushed the Portuguese forces out of Malacca in 1641. With the support of the Dutch government, Johor was able to establish a loose hegemony within the Malay states besides Perak which retained its independence. The Dutch agreed not to interfere in matters in Malacca but instead successfully played off on the trade, diverting the trading groups to its colonies in Java. Following the assassination of the last Sultan of Johor, the Bugis, a tribe from Indonesia, were able to take over Johor in 1699. With numerous settlements along the peninsula they were able to interfere with Dutch trade and take control of large parts of Johor, Selangor, Kedah and even Perak. In turn, the Minangkabau from Sumatra moved into the Malay Peninsula and established their own state, Negeri Sembilan. Due to Johor’s fall, the Siamese Kings of the Ayutthaya Kingdom took control of the five northern Malay states; Kedah, Patani, Terengganu, Perlis and Kelantan. Due to the increase in the tea trade between China and Britain, Malayan tin was in high demand for lining tea chests. Additionally, Pahang & Kelantan had gold mines and Malayan Peppers were in equally high demand. This in turn caused an increase in foreign settlers in the region including Chinese, Indian, Arabic and even some British immigrants. During the Napoleonic Wars, the British actually occupied Dutch Melaka (Malacca) with consent of the Netherlands in order to deter the French away from the area. In 1815, Malacca was handed back to the Dutch and the British acquired Singapore form the Sultan of Johor. Following this, the British exchanged their colony in Bencoolen for the Dutch’s Malacca and this left Britain as the only colonist power in the region. All of the areas dominated by the British were converted into free ports to allow trade, then, through use of the now broken monopoly once held by other colonial powers, they were able to control all trade through the straits of Malacca. Furthermore the Malay feared Siamese expansion and Britain took advantage of this fear to further their goals in the region. Following this, the Sultans began to believe the British had a superior civilization and after seeing the benefits of being associated with Britain, they aligned themselves with the British Empire. Finally, the Dutch left the Malay Peninsula and renounced all claims on the area, in return for rule over the rest of the East Indies in the Anglo-Dutch Treaty of 1824. In less than two years the British had taken control of Malacca, Singapore, Labuan and Penang. Originally the British had decided not to intervene in relations between Malay states, however, the need for tin in Perak led to fighting between the rulers of the region and the British intervened to stop the destabilisation of the states and prevent the disruption of commerce in the area. The British set in place British Advisors in the region to help negotiate matters better and cease the fighting in 1874. By the start of the 20th Century, Pahang, Perak, Selangor and Negeri Sembilan had British Advisors and were named the Federated Malay States. Only Johor resisted the British Advisory Scheme but only when Sultan Abu Bakar was succeeded by Sultan Ibrahim in 1914 did the state accept a British Advisor too. Johor and the four once-Thai states became known as the Unfederated Malay States. Throughout the 20th Century, the Malay Nationals became afraid of losing their identity as their Sultans’ power depreciated and their lands were taken over with borders and advisors set up by the British. Through these fears Islam began to spread and revive itself due to the perceived threat of other religions in the region, mainly Christianity. These Islamic bases were steadfast in the northern reaches where western influence was high and to this day the region remains a stronghold of Islamic conservatism, however, it was more Chinese people than Malay that were converted to Christianity. The British additionally allowed the Malay to run a monopoly of positions in the police and military and while the Chinese build and paid for their own schools and imported Chinese teachers, the British Government opened colleges throughout the country for the Malay in 1905, 1922 and 1935. During the 20’s and 30’s the Kuomintang, the Communist Party of China, built clandestine organizations in Malaysia which caused regular disturbances in the Chinese towns and villages. During World War II in the Pacific in December 1941, the British in Malaysia had built a large naval base in Singapore but had not been prepared for an invasion moving from the north and due to the high demands of the war in Europe the British had practically no air support in the region. This allowed the Japanese to attack their bases and force the British, Australian and Indian forces out of Malaysia in only two months. In 1942 with no defences, water supply or air support, the base in Singapore too had to surrender as well as North Borneo and Brunei. Although the Japanese had overrun the country, they attempted to foster nationalism with the Malay people which garnered them collaboration from the Malay rulers and civilians. However, the Chinese were viewed as enemies and over eighty-thousand Chinese civilians were slaughtered during the ‘Sook Ching’ (Purification through Suffering). Most Chinese businesses were burned down as were the Chinese schools with them. However, the Chinese which were led by the Malayan Communist Party became the most potent part of the Malayan Peoples’ Anti-Japanese Army, the most effective resistance force in wartime occupied Asia. Additionally, the Japanese lost the Malay support more so by allowing their ally, Thailand, to reclaim the four northern states of Kedah, Kelantan, Terengganu and Perlis. Due to the Japanese occupation in the country, Malaysia’s foreign export markets began to collapse in and this added fuel to the hatred of the Japanese occupants in the country. Thus, following the end of the War, the Malay people were glad to see the British back in control of the country in 1945. However, due to the mass nationalism that had swept through the country, independence was on the back of the minds of the Malay governing bodies and Britain in turn, which had been bankrupted and exhausted by the war, wished to assist the Malay people in their independence. However, the Malay people were more worried about the Malayan Communist Party, run by the Chinese and in control of several heavily armed factions, than obtaining their independence. So the British government drew up plans for the Malayan Union in 1944 which would attempt to unite the Federated and Unfederated states as well as Malacca and Penang. Due to a recent view shift in British society on equality, the view was promoted strongly by the British but the Malayan people felt that the combination of the Chinese being granted citizenship as well as the weakening of their leaders would spell disaster and ruin for the country. Founded in 1946 by Malay Nationalists lead by the Chief Minister of Johor, Dato Onn bin Jaafar, the United Malays National Organization wished to run a new independent state completely under Malayan control and only geared to benefit the Malay people. Due to the outstanding support that the UMNO received, the British were forced to give up on equal citizenship and rights for all. However, in the end the nationalist run Malayan Union was established in 1946 but was dissolved and replaced by the Federation of Malaya only two years later. However, this new state had forced the hand of the Malayan Communist Party and the group had moved into insurrection and had set up its bases in the Chinese-run trade unions. Although the MCP was aimed at equal rights and citizenship for all, it was prepared to go to any end to obtain it and in 1947, after the replacement of the current MCP leader Lai Tek by Chin Peng, previous Communist guerrilla forces leader, the party moved into guerrilla operations in an attempt to force the British out of the country. After just a few months the Malayan governing forces struck back after the MCP assassinations of plantation managers. The Malayan forces banned the MCP and arrested its militants, whom could not be captured escaped into the jungle and forced the Malayan Peoples’ Liberation Army, numbering over thirteen-thousand armed Chinese. The events surrounding the insurgency lasted until 1960 and were only ceased when the British were able to isolate the MCP from its support base by offering the Chinese people in the country brand new villagers in the country, free from the influence of the MCP. Due to this campaign, the number of new recruits that the MCP obtained dropped sharply and after new counter-insurgency warfare techniques had been developed and successfully used against the MCP by the British forces, the MCP collapsed in its entirety. During the collapse of the MCP, the MCA, the Malayan Chinese Association, was formed as a method of showing Chinese political opinion. It’s leader, Tan Cheng Lock, formed a collaboration with Tunku Abdul Rahman, the leader of the United Malay National Organization, and the two agreed that the Malayan and the Chinese communities had to be able to live and work together in the same independent state, the two formed an alliance alongside the Malayan Indian Congress (MIC) and the combination of parties won many elections in both Chinese and Malay dominated areas. In the height of the Cold War, independence for the Federation within the Commonwealth was granted in 1957, with the first Prime Minister elected as Tunku Abdul Rahman. In 1961, Rahman proposed the concept of Malaysia, a state formed of the countries Brunei, Malaya, Borneo, Sarawak and Singapore. This would allow their combined governing body to combat the remnants of the communist insurgents and control their activities, especially in Singapore where it was feared that the country’s independence would lead to it being controlled by the Communist Party. The British supported the idea but it was opposed by all of the political parties of every other involved country. However, after agreements were drawn up and approved, the territories of Borneo, Sarawak and Singapore agreed to the merger. Brunei’s Parti Rakyat Brunei staged an armed revolt with the support of the Communist Indonesian Government, who believed that the new state of Malaysia was a Neocolonialist plot against their country, but it was crushed easily, despite at the time being viewed as a potential destabilization source to the new nation. A constitution for Malaysia was written up and the included parties involved were all given some form of autonomy and in 1963 the countries of Malaya, Borneo, Sarawak and Singapore were approved to form the new state, Malaysia. The state began exporting palm oil, rubber, tin and iron ore and quickly built up a thriving economy. However, tensions grew between Singapore and Malaya as the People’s Action Party, which was essentially viewed as a successor to the Malayan Communist Party, began to attempt to run political candidates in Malaya in 1964 despite agreeing not to in an earlier agreement between the PAP and the UMNO. Under racial tension and threat of insurgency, Tunku Abdul Rahman demanded that Lee Kuan Yew, leader of PAP, pull their politics out of Malaya, which he did so in 1965. Additionally, despite the combined campaigns of the MCA and MIC, the newly founded Islamic Party of Malaysia (PAS) and the Democratic Action Party (DAP) gained an incredible number of seats in the Malaysian Government Offices and the victorious parties celebrated by holding a motorised parade along the streets of Kuala Lumpur. In fear of what these changes might mean, the Malay people lashed out at the Chinese, killing over one-hundred-and-eighty people and burning over six-thousand homes. In the state of emergency, the Deputy Prime Minister, Tun Abdul Razak, assumed power from Tunku Abdul Rahman after he was forced to retire. The new governing body, the National Operations Council consisted of nine members wielding the country’s full military and political power. This new government brought in new laws making it illegal to criticise the Malaysian Monarchy, the position of Malays in the country and the status of Malay as the national language in an attempt to silence the government’s opposition. However, in 1971 Parliament reconvened and in 1976 Abdul Razak passed away and was succeeded by Datuk Hussein Onn, before he was replaced by Tun Mahathir bin Mohamad. Parliament began once again making rapid changes, resettling a quarter of a million Malays on new farmland and investing into a more rural infrastructure as well as the creation of trade free zones in rural areas as to create new manufacturing jobs. After discovering oil and gas reserves during the 70’s and 80’s, the money brought in from the oil and natural gas exports as well as the government’s investment into rural economic growth brought the country into a much needed golden age. By the year 2000, the Education Minister, later the Prime Minister, Mahathir, dramatically increased the number of schools, colleges and academic institutions throughout the country, enforcing the policy of teaching in Malay instead of English, this in turn created a language barrier which drove the Chinese out of higher education due to lack of fluent Malay language speakers and this caused the Chinese to attend universities in Singapore, Britain, Australia and the United States as an alternative. During the 2004 election the National Front led by Abdullah Ahmad Badawi had a huge victory, wiping out the Keadilan and the PAS parties and was due to Malaysia’s fully developed economy raising the standards to almost all Malaysians to first world standards. The new government aims to turn Malaysia into a fully developed country by 2020 and in turn these aims incorporate a free press, a multi-party democracy, the restoration of all civil and political liberties and an independent judiciary. In 2007 the country was shaken by two anti-government rallies, the Bersih Rally held by the Barisan National Party and a second rally organized by HINDRAF, the Hindu Rights Action Force. The rallies were protesting the favouring of ethnic Malaysians over immigrants and other national minorities. The following year, HINDRAF was banned by the government, labelling the organization as “a threat to national security”. Selamat Tingal Sell-ah-mat Teng-ahl Good Bye! Adakah anda fasih berbahasa Inggeris / Malayu Ah-dah-cah an-dah fah-seh ber-bah-hah-sah Ing-gur-riss / Meh-lay-oo Do you speak English / Melay? Anda boleh membantu saya? Anda boleh membantu saya? Can you help me? Above are a few common Malay phrases to help you get around. The region of Malaysia houses over one-hundred-and-thirty differing languages with over a third of them originating in the Peninsula itself. In primary schools the main languages which are taught are Malay (Bahasa Malaysia), Mandarin Chinese and Tamil. Of course, the dialects between languages vary greatly based on location. For example, there are over ten different dialects of Malay spoken throughout Malaysia alone. Additionally the native tribes of East Malaysia as well as Citizens of Minangkabau, Bugis and Java speak their own languages. In Sarawak the main language spoken is Iban, a tribal language, while in Sabah the natives speak various Dusunic languages. However, many other tribal and ancestral languages are also spoken in the local areas such as Bajau, Murut, Rungus, Iranun, Sungai, Ubian, Suluk, Lundayeh and Bruneian. Malaysian Standard English and Manglish languages, derived from the collaboration of British, Malay, Chinese and Tamil languages, are heavily spoken in the business world as well as standard English itself which is used to teach Mathematics and the Sciences in schools. The government officially discourages the use of Manglish however. The Chinese languages also make a strong presence in the country with the main strain spoken as Mandarin. However, other commonly spoken Chinese variants include Cantonese, Hakka, Fuzhou, Hainanese and Hokkien. It’s common for Chinese youths to be fully fluent in at least one type of Chinese, typically Mandarin, as well as Malay and English. Older Indian residents speak Tamil frequently but it’s becoming less and less frequent among Indian youths. Additionally, a small amount of Malaysians have Eurasian ancestors and subsequently speak Creole languages such as Malaccan Creoles or the Spanish based Zamboangueno spoken mainly in the Phillipines. 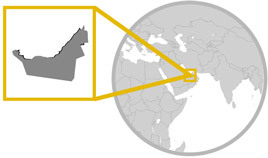 Other commonly spoken languages are Burmese, Thai, Sinhalese, Filipinos and Pakistani. Although the country is multi-religious, the state religion is still declared to be Islam and over 60% of all Malaysians are Muslims. Additionally, no ethnic Malay is allowed to leave Islam whilst non-Malay Muslims may apostacize but only at the permission of a sharia court, which in itself is very rare. The government prohibits any form of media it feels will incite any form of disharmony, racial, religious or otherwise. However it allows other religions to be practiced provided that all religious structures are registered with the corresponding authorities, and additionally that all religious matters are not displayed or discussed in public. Other prominent religions in the region are Buddhism which makes up about 20% of the population, Christianity which accounts for about 10% of the religious individuals, Hinduism which is around 7% of the population, traditional Chinese religions such as Confucianism and Taoism make up about 1% of all residents, 1% are said to be Atheist and the remaining 1% are made up of other minor religions. A variety of museums exist throughout Malaysia which help to showcase the extensive and deep history and culture seen throughout the country and across time. The Baba Nyona Heritage Museum exhibits a variety of pieces depicting the local history of ethnic Chinese Malays. Meanwhile, a replica of the notorious Flor de la Mar houses a museum by the same name and showcases the extensive history of the Portuguese expeditions into the region. One of the most prominent museums, however, is the Perak State Museum which is reputed as the oldest museum in all of Malaysia and displays the history of the state in explicit detail. A combination of many styles including Chinese, Islamic and European (especially Spanish, Portuguese and British), as well as Indian building types, Malay architecture varies greatly depending on the region. Typically however, houses are built to adapt to tropical conditions and as such feature large windows and high roofs to allow air to flow through the house easily. Mainly built using wood throughout history, the more Westernized areas use more contemporary building styles whilst in lesser Westernized areas, such as Negeri Sembilan, the houses are older and built to be entirely nail-free. Meanwhile in East Asia, the Oral Asal live in longhouses on the water which have been elevated on stilts and built into connected villages. Clothing in the Malay language is known as Baju and combines three main cultures together, Malay, India, and China, into several variants worn across the region. Malay clothing for men is known as Baju Melayu and features a tunic loosely worn over the top of trousers alongside a Sampin, a type of long cloth wrapped around the hips, and a Songkok, a type of cap worn on the head. These products are typically made out of bold and bright silk or cotton. Women on the other hand wear a Baju Kurung, a type of knee-length top worn over a long skirt, usually accompanied with a shawl or scarf. Additionally, it’s not uncommon for women to wear a Kemban, similar to a Sampin but tied above the chest instead of at the waist. Chinese men typically wear a short sleeved shirt over the top of trousers, often decorated with various patterns, emblems and designs along with sandals. Chinese women wear a Cheongsame, a single-piece dress with a high collar and joined via toggles or clasps on the side or diagonally, often fashioned with slits at the side to breathe more easily and usually made out of silk or another soft fabric. Elderly women are known to commonly wear the Samfoo, sort of like a pair of pajamas but with the top being loosely fitted and the trousers being angle or sometimes shin length. Indian female fashion sees a large use of the Saree, a long cloth worn with a petticoat draped around the body, and the Salwar Kameez, a type of long tunic worn over trousers with a shawl. Men meanwhile are known to wear the Kurta, a knee length shirt made from either linen or cotton, for formal occasions, while when non-formal, the Sherwani: a type of coast, the Lungi: a variant of a Sampin, the Dhoti: a long piece of draped cloth, and the Kurta-Pyjama: a set including a knee-length top without a collar and pair of trousers with a string tie at the waist, are very common for both men and women. Based on the ancient oral tradition existing prior to modern-day Malaysia, the influences from these ancient stories are responsible for a range of influences into more contemporary writings with the early works being inspired heavily by Indian epics and folktales. During the late 15th Century Arabic Jawi Script appeared in the region alongside the sweeping of Islamic culture across the region and as such the Malay Sultanates began their own literary traditions. These traditions developed into what is modern-day Malay literature and include the Hikayat: a form of Malay poetry with a traditional narrative and the Syair: a more varied type of narrative but similar to the Hikayat. Famous works include the Sejarah Melayu (The Melay Annals) which documents the history of the country, the Hikaya Rajit Pasai and the Hikayat Hang Tuah which tell stories of heroes from the country as well as the Hikayat Sang Kancil (an old folk tale), Ramayana (a story adapted from old Indian epics) and Hikayat Abdullah, the biography of Munshi Abdullah, considered to the the father of Malay literature. The music in Malaysia has been inspired by influences from Indonesia, China, Thailand and India but is thought to have mainly originated in the Kelantan-Pattani region with music based around a variety of drums, natural percussion such as shells and stones as well as various stringed instruments such as the Rebab, a type of bowed string instrument, and wind instruments such the Seruling, a type of flute. In the region storytelling has always been considered an art form and as such the music is used for both celebratory and fable-forming practices. Additionally music has been used during history as a means of long distance communication. Types of traditional orchestra in the region is split in two, the Gamelan form is used for melodies which require stringed instruments and the gong, while the Nobat uses more wind instruments for a more solemn tune. Of course the variety of music varies greatly dependant on where you are. Both Chinese and Indian Malaysians have their own forms of music inspired by their homelands, and the ancestrally-based tribes of the Peninsula and East Malaysia have their own ancient music as well. It should be noted that many types of music have been restricted in the country at least to some degree, Rap music is heavily criticised and Heavy Metal has been limited. Additionally, all foreign bands must submit a recording of a recent concert before they are able to play in Malaysia due to the government believing that the music is a bad influence on youths. Dance wise, a multitude of performing arts including drama, dance and martial arts are based in the country. These include the Mak Yong: based in Kelantan and incorporating dance and drama strongly, Zapin: a form of dance performed in pairs and using a range of traditional instruments, and Silat: a type of martial art and dance form focusing on bladed weaponry, joint manipulation and throws. Additionally, the Chinese Lion and Dragon dances are highly popular and the Indian Baharata Natyam and Bhangra dances are incredibly prominent as well. There are also a variety of traditional tribal dances with a strong sense of spirituality. Starting in mid-May a month-long celebration of Malaysia’s distinctively diverse cultures commences and celebrates a range of culinary tasting sessions and events, bright and colourful parties and a variety of cultural happenings and goings on all over the region. Typically roadshows happen frequently starting in Dataran Merdeka and move through Johor, Sabah, Negeri Sembilan, Terengganu and finally Penang. In late April the state of Sabah begins to celebrate Sabah fest and holds a variety of events celebrating the state’s history, traditions and cultures. The events mainly take place in Kota Kinabalu. Throughout the entirety of August the nation celebrates it’s month of independence with a range of firework shows, parades and a huge multitude of parties. At the same time as Independence Month, the Ramadan Bazaar opens up for fasting Malays, allowing Muslims practicing the month of Ramadan to sample incredible food at the vibrantly coloured bazaars all across the country, especially in Kuala Lumpur. 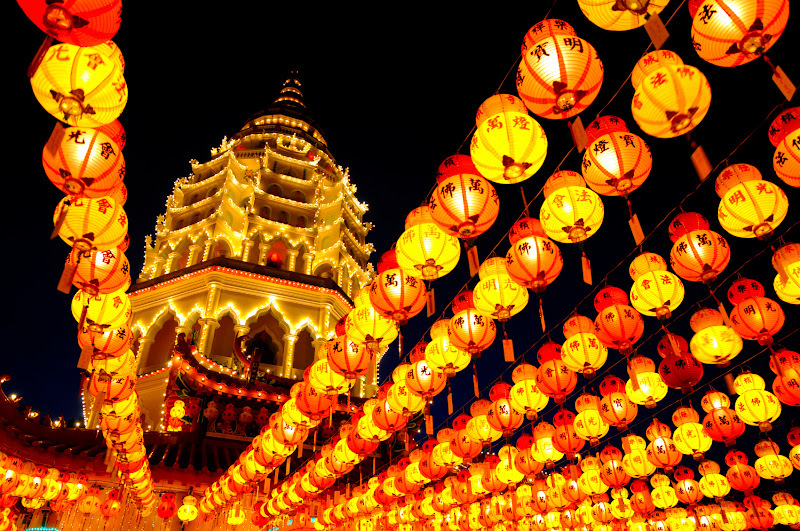 It’s also important to mention that plenty of non-Malaysian traditions are celebrated as well, for instance, Chinese New Year is celebrated around the same time as it is in China and in Penang especially there are many, many wondrous fireworks displays for a truly colourful spectacle. The Bukit Bintang in Kuala Lumpur is an area which comes to life especially at night, with so much to do including a range of street performers, painters and coffee shops, you’ll kick yourself if you miss it during your travels! The Night Market in Penang, also known as the Sidewalk Bazaar, opens up as early as 6pm but bases the opening time off of the time of the sunset and sells a range of goods from clothes to souvenirs to food. For a truly mystical night out, Bangsar in Kuala Lumpur is the idea destination. This beach club features amazing live bands and outputs an amazing atmosphere throughout the evening. The Hard Rock Café in Kuala Lumpur has been based around Western styles and features European beer, American food and some of the very best most relaxed atmosphere across the length of the entire city. Ideal for that midnight stroll, the Jalan P. Ramlee area in Kuala Lumpur springs into life as soon as the late night sets in with dancers across the street, music booming out of the bars and nightclubs in the area and all sorts of unique fashion styles exhibited throughout the location. With four rooms and an abundantly large dance floor, the Zouk Club in Kuala Lumpur often has some of the top artists from across the world performing and regularly exhibits break-dancers, a wild atmosphere and a truly unique night out. Little Havana in Kuala Lumpur is more for the dedicated dance individual with quick-paced dance steps of the salsa at the ready throughout the week and around the clock. This high-speed dancing stage club is also home to some of the country’s top Salsa dancers. Luna Bar in Kuala Lumpur is situated near the top of the PanGlobal Skyscraper and is guaranteed to give you an amazing view of the whole city, the bar itself stocks a range of drinks and the connected club plays numbers from around the world. Another bar with an astounding view, the SkyBar in Kuala Lumpur is located on the top of the Traders Hotel and incorporates some of the best views from across the city into its night time atmosphere. The bar stocks a range of drinks and mixes some of the most unique cocktails in the region. Nouvo in Kuala Lumpur incorporates both a dance club upstairs for those that like to party and move to a funky beat as well as the Sangria Bar downstairs for a more relaxed evening away from the hustle and bustle. Malaysia’s currency is the Malaysian Ringgit and can be divided into 100 Sen. 1 Ringgit is equal to about $0.30 or £0.18. The Malaysian Ringgit is also known as RM and more commonly, MYR. The currency comes in many coin variants including 1 Sen in both Bronze and Copper-clad Steel coins, 5 and 10 Sen Cupronickel and Stainless Steel coins, 20 Cupronickel and Nickel Brass coins, 50 Sen Cupronickel and Nickel Brass-clad Copper coins as well as 1 Ringgit variants in both Cupronickel and Copper-Zinc-Tin coins. Bank notes come in 1, 5, 10, 20, 50, 100, 500, 1000 Ringgit variants with a range of different colours and designs for each note. Additionally, Gold Bullion Coins known as Kijang Emas are issued in 50, 100 and 200 variants and are used primarily for investment; their values fluctuate with the international gold market price. The third largest economy in South East Asia only narrowly behind Indonesia and Thailand, and the 29th largest economy in the world, the Economy of Malaysia is a newly industrialised open market and state-oriented in nature, albeit in recent years the state’s input in the economy has declined significantly. International trade, especially exporting tin, palm oil and rubber, has always been its forte. Each year since its independence in 1957 it has grown by an average of 6.5% GDP per year, although it may have started as the world’s biggest exporter of rubber, tin and palm oil, today Malaysia contains a huge multi-sector economy and produces a range of semiconductor devices and components as well as electrical goods, ICT products and solar panels. Recently the country crossed the MYR 2 Trillion mark ($601.5 Billion or £368 Billion) for the first time ever and the country aims to be a self-sufficient industrialized nation by 2020, with estimates placing that provided the country’s growth either remains constant or increases, it could achieve this as early as 2018. Luckily due to the quick development of a the economy within Malaysia in the last few decades, the banking services in the country are not limited in any way and are usually open between 9:30am to 4pm on Mondays to Fridays and 9:30am to 11:30am on Saturdays. Banks within the country include BNP Paribas, Barlcays Bank, Bank of American, ABN Amro Bank, Commerzbank and many more. Account types in the country typically include Current Accounts: used for day to day banking which function the same way their western counterparts do, Savings Accounts: offer higher interest rates but usually only having a limited amount of withdrawals before a fee is due, and Deposit Accounts: offer the highest rates of interest but most frequently do not allow for withdrawals until the account’s maturity date. ATM machines are also widespread all throughout the larger towns and cities across the region. 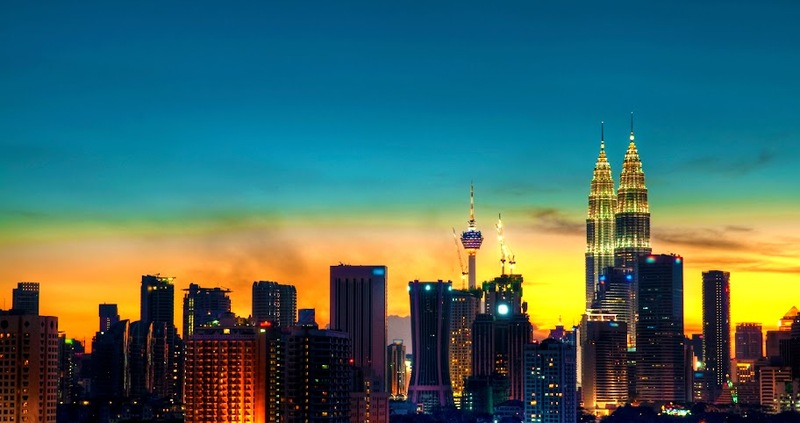 Malaysia incorporates a mix of varied taxes into its systems in order to help fund the variety of government programs going on to develop the region further. Included are the Income Tax, Vehicle Tax, Property Tax and Consumption Tax. Income Tax works similarly to the way it does in the West and is only applied when an individual has been in Malaysia for 182 consecutive days or has lived in Malaysia for at least three of the four preceding years and has been living in Malaysia for 90 days. Those over 55, those receiving a pension or living off bank interest and those employed in Malaysia for less than 60 days. Those living in Malaysia for between 90 and 30 days are taxed differently. Income Tax typically falls between 2% and 30% based on the income amount. Car Insurance is compulsory in Malaysia and Road Tax must be paid by car owners, typically the larger the vehicle’s engine the more road tax is due; other defining factors include the type of car, fuel type and whether the vehicle is for domestic or commercial use. Additionally, Car Tax, sometimes of up to 100%, has to be paid on any foreign vehicle imported into the country. Property Tax is payable on all property including shops, agricultural land and shops, the amount due is based on the local jurisdiction. Assessment Tax is also due and is based on the annual rental value of a property at usually around 6%, decided by local authorities. Quit Rent Tax is also applied at around MYR 10,000 (about $3010 or £1840) and Stamp Duty Tax is applied to all bought properties based on the value (MYR 0.01 to 100,000 at 1%, 100,000.01 to 500,000 at 2% and 500,000.01+ at 3%). Although there is no VAT in Malaysia, two types of tax, Sales Tax and Service Tax, take its place. Sale Tax is applied at 5%, 10% and 15% to non-essential food and building materials. Cigarettes and Alcohol are taxed at 15%. Service Tax is applied at 6% on food at drinks in restaurants and hotels as well as on certain other goods. 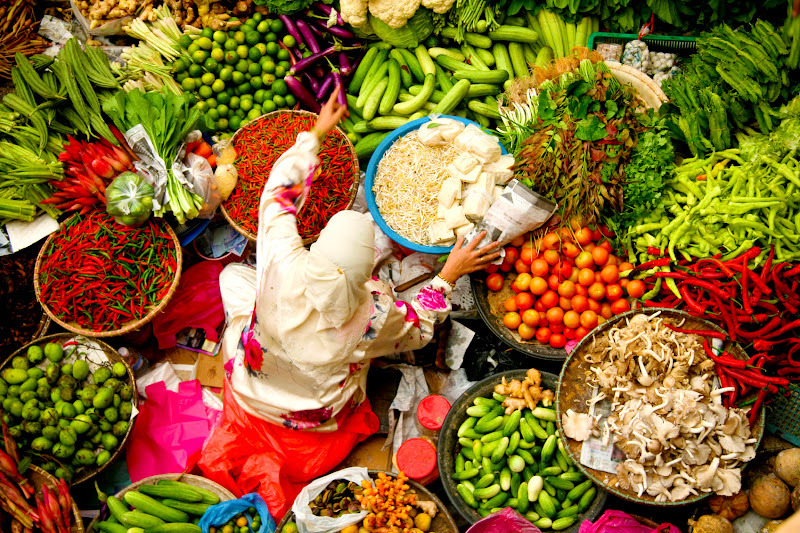 Due to Malaysia’s wide influence of cultures from all over the world, Malaysian cuisine is extremely diverse and takes on dishes and ingredients from Malay, China, India, Portugal, Thai, Indonesia and Arabia as well as many other countries. Some of the most staple sources of food in the country come from Rice, Bread, Noodles, Fish and a variety of Meat such as Beef, Mutton (typically more goat than sheep), Poultry and Pork to name a few. Additionally, usage of Vegetables and Fruit is common and Malaysian Desserts are world-renowned as an international delicacy. Common dishes include Nasi Lemak: steamed rice mixed with coconut milk often served with anchovies, cucumber, peanuts, hard boiled eggs and spicy chilli pasta, Fried Noodles: usually made from golden wheat, mung beans or rice, and Roti Canai: a type of Indian bread. Meanwhile, meat dishes are frequently prepared as halal meat and although Pork is avoided by the Muslim and Hindu communities making up a majority of the population, it is not illegal to sell or consume the meat and can be openly purchased in markets all over the region. Popular fruit in the region includes the Durian: a fruit with a spiky protective layer and a pungent scent, the Mangosteen: a fibrous fruit with a sweet tangy flavour, and the Longan: resembling an eye when peeled and easy to shell just by squeezing the fruit out. Meanwhile Desserts are widespread and include such dishes as Ais Kacang: sweetcorn, grass jelly and red beans topped with condensed milk and shaved ice, Payasam: a type of pudding with a sweet flavour made from rice or vermicelli, and Pengat: a boiled banana covered in a mix of coconut milk and brown sugar. There are three types of VISA that can be obtained, a Single Entry VISA, a Multiple Entry VISA and a Transit VISA. The Single Entry type is issued to any foreign national wishing to visit Malaysia, typically for social reasons and usually is valid for up to around three months from the date of issue. The Multiple Entry type is issued to foreign nationals entering Malaysia for business or governmental matters and is normally valid from three to twelve months from the date of issue. The VISA stays valid for up to one year and each entry is for up to thirty days at a time without the possibility of extension. To obtain a Multiple Entry VISA, you must show proof of sufficient funds to support yourself during your stays and possess a valid and confirmed return ticket. Indian and Chinese citizens are also eligible to apply for this rather than a Single Entry VISA provided that MYR 100 or MYR 30 is paid by the Indian or Chinese citizen respectively. The Transit type is issued to foreign nationals to require a VISA to enter Malaysia during transit to other countries; if you do not leave the airport premises on arrival in Malaysia then you do not require a Transit VISA. Unless living in Malaysia for employment, no VISA is required of any USA Passport holder. Holders of Passports of Libya or the Ivory Coast may reside in Malaysia for up to 14 days, while Citizens of Taiwan may stay for up to 15 days. Israeli nationals must additionally obtain permission from the Ministry of Home Affairs in Malaysia as well as a Malaysian VISA to be able to enter the region. Due to the modern government’s Ministry of Health, Malaysia’s healthcare system has dramatically improved in the last few decades and incorporates a high standard in both the government-run healthcare facilities as well as the private healthcare system. Life expectancy at birth is currently around 75 years and the infant mortality rate is at below 10, similar to that in the US and Western Europe. Malaysia has a wide list of medical schools and has recently invested over MYR 2 Billion into developing its hospitals and medical facilities to an even higher standard. Due to the risk of Influenza, the Government also has designed a plan to deal with pandemic, should it ever occur, to ensure that all governmental health forces are effectively mobilized to handle any sort of outbreak, this has been designed in response to the Nipah virus outbreak in 1999 and was able to effectively prevent the outbreak of SARS and Bird Flu within the country in the most recent decades. The Roads in Malaysia are highly extensive and cover almost 100 thousand kilometres with over 80 thousand kilometres paved. The main highway extending over 800 kilometres and reaches the Thai border from Singapore. Typically developed roads are more prominent in the Malayan Peninsula rather than in Eastern Malaysia. The Railways, meanwhile, cover almost two thousand kilometres and incorporates high speed trains and light rail transit systems in some of the largest cities in the country. Malaysia’s Waterways stretch over seven thousand kilometres and features a huge amount of ports, harbours and ferry services all over the region, additionally, over 360 merchant chips operate in the region. Finally, there are over 117 Airports in the region with 38 supporting paved runways and 2 with heliports. There is only a single national airline, Malaysia Airlines, but a number of other airlines operate in the region including Malindo Air, MASwings, Layang Layang Aerospace, Sabah Air, Gading Sari, Transmile Air Services, MASkargo, Neptune Air, Weststar Aviation of Malaysia, MHS Aviation, Eaglexpress, Firefly, Berjaya Air and AirAsia. Office Hours: The reception of the Visa Section is open to the public from Monday to Friday from 8.30AM to 2.30PM. The office is closed on all Malaysian and some Brazilian public holidays. Details: Fiji High Commission (Malaysia) High Commissioner H.E. Adi Samanumu Talakuli Cakobau Also accredited to: ESCAP, Thailand. Office Hours: Office Hours :Monday - Friday 09.00-13.00 hrs. and 14.00-17.00 hours Visa and Consular section : 09.30 - 13.00 hrs. There are over 4.5 million main Telephone lines in use with around 29 million Mobile phones in use. Domestic communications are provided via a microwave relay within the region and two satellites are used for international communications as well as submarine cables stretching to India, Hong Kong and Singapore. The biggest telephone companies in Malaysia are DiGi, U Mobile, Maxis, TM Berhad, Celcom P1 WiMax and YES 4G. There are over 17 million Internet users in the country with over four million Dial-up connections and over two million Broadband connections. ISPs include Yes 4G, AMAX, DeConneXion, Packet One, Time, TM NET, Nasionet, PersiaSYS, JARING and Maxis Communications. The top level domain is .my. There are over four million TVs in the region with around thirty active broadcasting stations live, these include the free channels TV1, TV2, TV3, ntv7, TV Alhijirah and 8TV & TV9 (only in West Malaysia), as well as the paid channels Vision Four, Astro, MiTV, Fine TV, DeTV, Hypp.TV and Maxman.tv. There are also over ten million radio stations in the region on shortwave 5, FM 31 and AM 56 supporting over two thousand amateur radio stations. 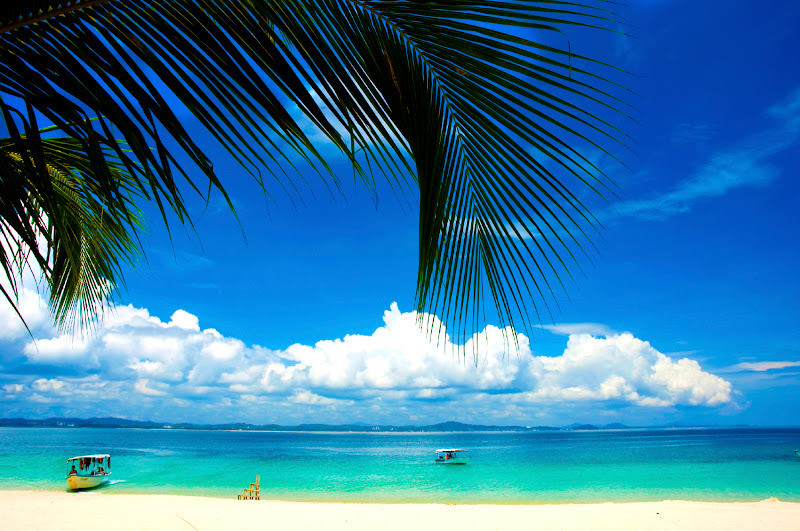 Malaysia has a typically equatorial climate, holding a humid and hot condition during the entirety of the year. The temperature has ranged between 7.8 degrees Centigrade (46 degrees Fahrenheit) and 40.1 degrees Centigrade (104.2 degrees Fahrenheit), which averages out to 27 degrees Centigrade (80.6 degrees Fahrenheit. Rainfall typically averages at around 2500mm a year but has been as low as 608mm and as high as 5,687mm. The usually large amount of rainfall is due to two monsoon seasons that lead to large downpours of rain every year. The Shangri-La Hotel in Kuala Lumpur is located in the centre of the city but behaves very much like a hidden paradise. Utilizing a range of styles and natural shapes, the hotel has been designed for that much-needed getaway and features masterfully-prepared cuisine and an amazing view across the city. The Majestic in Malacca features a range of activities and events including a spa village for that desired pampering session, the hotel itself is situated in the heart of Malacca and has been designed with both Western and Chinese influences in mind. Often called the ‘new breed of Heritage Boutique Hotel’, Campbell House in Georgetown utilizes a truly sophisticated style and service to ensure that every one of its residents is made to feel special during their stay. Furthermore, the hotel’s rooms have been designed to be extremely comfortable and welcoming. Designed to mimic that resort getaway that you’ve always wanted, Casa del Mar (Spanish: Home by the Sea) in Langkawi is based right on the foot of the beach and incorporates a wide array of dining options as well as quick and easy access to a range of surrounding airports, cafes and restaurants. Chic, slick and absolutely beautifully designed with a kick, the Hotel Eden 54 features a contemporary westernized stylization and utilizes the vibe of the city to welcome its guests subtly into each and every one it its rooms, giving the whole hotel a wide sense of luxury and refinement. The Seven Terraces Hotel in Penang has been widely inspired by an ancient oriental style and has much of its style influenced by Ancient China, the lobby, for example, features heavy symmetry to represent balance but ensures to keep a distinctive degree of curvature through natural means to simulate flow. Another beautiful boutique beauty and this time located in the heart of Kuching, the Lime Tree Hotel boasts an eco-friendly reputation and utilizes a welcoming contemporary design whilst retaining a powerful sensation of luxury. The hotel features over fifty rooms and suits equipped with completely free Wi-Fi internet in every room and throughout the hotel. A true tropical paradise in every sense of the phrase, the Rimba Resort of Malaysia is the ideal place to kick back and relax while you enjoy your vacation and take part in the events going on throughout the day, these include snorkelling and diving but the more laid back individual might prefer to just pick up a cocktail and relax on the beach. With the surrounding area incredibly rich in Malay culture, the Renaissance Kota Bharu Hotel helps to balance out the quota with a distinctive western metropolitan style and the city’s only five star rating. The hotel is additionally located in the city’s centre for quick access to Kota Bharu’s shopping and commercial district as well as the nearby airport. Truly sublime and borderline fantastical, the Banjaran Hot Springs Retreat utilizes purely natural hot springs for incredible spa treatments and relaxation sessions. The hotel also offers massage services, private pools, hot tubs, a wellness centre and much, much more. Children below two years old do not require their own seat on most airlines but you will still be typically charged around 10% of an adult ticket for their travel with you, additionally only one child per adult is allowed to travel in this way. Children must also obtain a VISA the same way adults do at the same costs. 1. An Import Permit must be obtained from the Malaysia Department of Veterinary Services. 2. An Export Permit must be obtained from the country of origin. 3. A Health Certificate must be obtained for the animal from your local vet. The pet should be stored in a container strong enough to withstand force from other possible luggage and big enough to allow the animal to stand up, turn around and lie down as well as being well ventilated on at least three sides, complete with food and water troughs or attached to the container. Upon arrival the pet will be held in quarantine for an undisclosed period of time. Education in Malaysia begins at a preschool level, at which there are no solid rules that define when this begins but most tend to start when the child turns five years old but it can begin earlier at up to three years old. At age seven the child moves on to Primary School. Primary Schools vary in type but typically last for six years up until the child is thirteen. The years are known as Year (Tahun), the first to third years are known as Level One (Tarhap Satu) and the fourth to sixth years are known as Level Two (Tarhap Dua). Regardless of performance all students move on at the end of each year to the following one. At the end of Primary Education, the Year 6 students sit the Primary School Achievement Test (Ujian Pencapaian Sekolah Rendah or UPSR) which tests Malay Comprehension, Written Malay, English, Science and Mathematics. In Chinese Schools, Chinese students additionally are tested on Chinese Comprehension and Written Chinese. Whilst in Tamil Schools, Tamil students are additionally tested on Tamil Comprehension and Written Tamil. Secondary School lasts for five years up until the age of eighteen and Secondary Education teaches Melay, English, Chinese and Tamil languages with some schools additionally teaching Arabic, Japanese, German and/or French. The forms are known as Form (Tingkatan) with forms 1 to 3 known as Lower Secondary (Menengah Rendah) whilst forms 4 and 5 are known as Upper Secondary (Menengah Atas). Primary Students are required to have a C grade minimum before being able to attend Secondary School, if not then a year-long class must be attended to compensate before they can move on. Additionally, co-curricular activities are compulsory and at least 2 or 3 activities must be participated in, this may include Performing Arts, Clubs, Societies, Sports, Games and Uniformed Groups. At the end of the Lower Secondary, the Lower Certificate of Education (Penilaian Menengah Rendah or PMR) is taken and based on the results the students are divided into Art and Science oriented classes, however, over time some students may shift back and forth between the two. At the end of Upper Secondary, the Malaysian Certificate of Education (Sijil Pelajaran Rendah or SRP) is taken before being able to graduate Secondary School. Within these primary and secondary schools there are typically a large number of free government-run ones with a widespread amount of private ones. There are even residential schools used for those considered to be academically gifted and have been modelled after British Boarding Schools. Following Secondary School, students may move into Sixth Form or go into a type of College called Matriculation (Pre-University). In Sixth Form the students will take the Malaysian Higher School Certificate (Sijil Tinggi Persekolahan Malaysia or STPM) whilst in Matriculation students undergo several semesters with an exam at the end of each one and a final exam at the end of the course. Each option lasts between one and two years in length. University-level and postgraduate education is readily available and the country incorporates not only a string of facilities and programs for most subjects but additional Polytechnic facilities which provide courses for Bachelor Degrees, Advanced Diplomas, Basic Diplomas and Special Skills Certificates. To teach in Malaysia typically you will need to be a Native English speaker, have 3 years of experience, have a degree in line with what you are teaching and hold a valid teaching qualification. It should be noted that many schools ask only for teachers over 27 and a large amount additionally ask for a teacher with an understanding of the UK Curriculum. Typically monthly rent in Malaysia is extremely cheap with a one-bedroom apartment outside of the city centre going for MYR 880 ($270 or £160) and a three-bedroom apartment going for MYR 1470 ($440 or £270). In the city centre prices are scaled a little but not too significantly, with a one-bedroom apartment costing MYR 1540 ($460 or £280) and a three-bedroom apartment costing MYR 2590 ($780 or £480). Living costs are similar with 1 litre of milk costing around MYR 5.60 ($1.70 or £1.00), 500g of bread costing around MYR 6.00 ($1.80 or £1.10) and 12 eggs costing MYR 4.50 ($1.40 or £0.80). Meanwhile a meal at a restaurant can cost between MYR 7.00 to 50.00 ($2.10 to $15.00 or £1.30 to £9.20) and a litre of water costs around MYR 3.50 ($1.10 or £0.70). Luxuries such as half a litre of beer will cost around MYR 10.70 ($3.21 or £2.00), a pack of cigarettes costs around MYR 10.50 ($3.20 or £1.90) and a bottle of mid-range wine will set you back MYR 50.00 ($15.00 or £9.20). Average monthly wage after tax is at MYR 3220 ($960 or £590). The Persatuan Senifoto Petaling Jaya (Photographic Society of Petaling Jaya) is based in the venue of the same name and celebrates over 25 years of incredible activity with events being run throughout the year for newbie to veteran photographers alike. One of the very oldest scuba diving clubs in Malaysia after being formed in Kuala Lumpur in 1959, the Malayan Sub Aqua Club (MSAC) is completely non-profit and promotes conservation of the environment, running regular classes for members of all skill levels. Like to fly solo or with a group? With the Johor Flying Club you’ll always be able to join a good group of friends as you soar through the skies, up through the clouds and on into the great blue beyond. The Football Association of Malaysia is responsible for maintaining a variety of clubs spread throughout the region as well as organizing competitions, matches and leagues during the course of the year. Maybe you prefer your full-on-body-contact sports? The Cobra Rugby Club has been assembled to run premiere Rugby events through the region of Malaysia and have rallied an impressive number of members behind them. The Asian Cricket Council is known for their regular events that take place during the year as well as organizing the country’s top teams and readying them for the world stage ahead. How about a song and dance for your troubles? The Penang Players are one of the top music and drama societies within the region of Penang and have regular plays and theatre productions. The Malaysian Nature Society (MNS) is the country’s oldest and largest non-government environmental society and actually predates the country’s independence. Each year they are responsible for a wide variety of events and activities open to their members. Even the Chopin Society has a chapter in Malaysia, the Chopin Society of Malaysia celebrates the life and works of Frederic Chopin, pays tribute to this truly talented historical musician and is a part of the International Federation of Chopin Societies. Crime in Malaysia is comparable to developed western nations and may manifest in forms most frequent as corruption, money laundering, murder, drug trafficking, fraud and black marketeering. It’s most frequently used as a destination, supply and transit point for women and children used for sexual exploitation and in the last decade over forty thousand women were arrested for prostitution in the country. People in general are also used in human trafficking for work as labourers in the region. Drug trafficking is another common problem, especially concerning heroin and as a result the crime is punishable by death as an attempt to dissuade traffickers away from the practice. Crimes against tourists are typically more minor with common crimes being pickpocketing, burglaries, credit card fraud and vehicle theft being the most frequent. Scams in Kuala Lumpur are rampant and usually involve card games and the purchase of jewellery. Corruption is the last issue the country faces crime-wise but it is still less common than most other countries in the South East Asian region with only Singapore being considered less corrupt by Transparency International. Malaysia also frequently suffers from corporate fraud and counterfeit IT, automobile and currency production.